Taking concrete to a new level, this New York City master bathroom combines interlocking vanity with concrete bathroom sinks, tub surround, and shower elements and seamlessly integrates them with a bath of glass and tile to create a peaceful urban oasis. No material but concrete could produce the complex intricacies of this design in such a cost-effective way while allowing such diversity in finish. 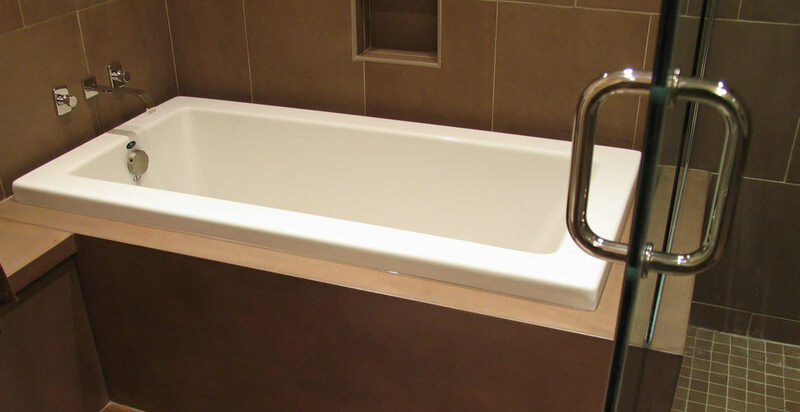 JM Lifestyles was given the freedom to design the bath within the clients’ overall aesthetics. 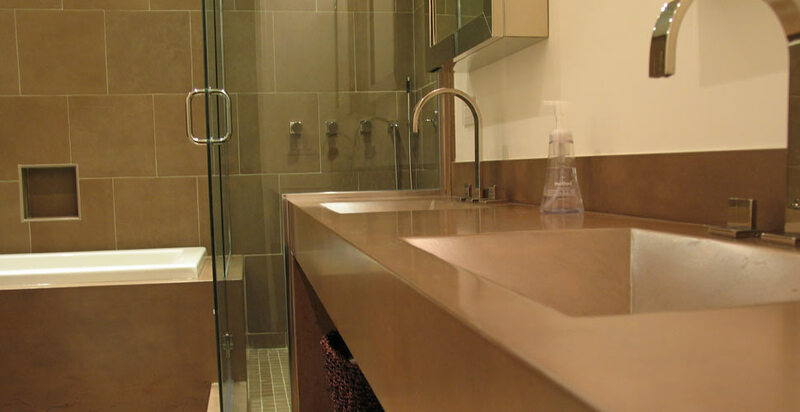 The biggest challenge during the design process was aesthetically and functionally bringing together two very different materials, glass and concrete, where the vanity meets the shower. To beautifully integrate the materials while fulfilling the request for maximum vanity area, Kudrick decided to bring the vanity into the shower, effectively cutting through the shower wall with the vanity extension. This led to the idea of casting a monolithic concrete leg—half in and half out of the shower—that became both vanity support and shower seat. To further carry the design throughout the bath, the tub surround carries into the shower and cast vertical shower niches finish out interesting spaces created by breaking the conventional planes of the shower. To save the client some cost, Kudrick decided against a custom shower pan and instead cast a single piece curb that would give the illusion of a full shower base and tie together the two sections of the bathroom, tile and concrete. Completed in only 3 ½ weeks, JM Lifestyles pre-cast the project without templates before the bathroom was built; they pulled two “control” points–one horizontal level line for the floor and a vertical line in space, a control point from which all pieces were assembled. Because of this measurement method used, general construction for the master bath was uninterrupted and the client’s challenging schedule was met. Recognized in the industry as the pinnacle of exceptional design and craftsmanship, the CHENG Concrete Exchange Design Challenge showcases talent and technical skill of the very best in creative concrete. Building on nearly twenty years of experience, JM Lifestyles, LLC continues to push the limits of concrete as an artistic medium. Experts in a variety of materials including metal, glass, wood, light and water, JM Lifestyles leads the way in the decorative concrete industry, creatively integrating proprietary techniques and fine craftsmanship to produce beautiful and functional results. JM Lifestyles collaborates with each client, including them in the creative process with detailed descriptions and conceptual images. 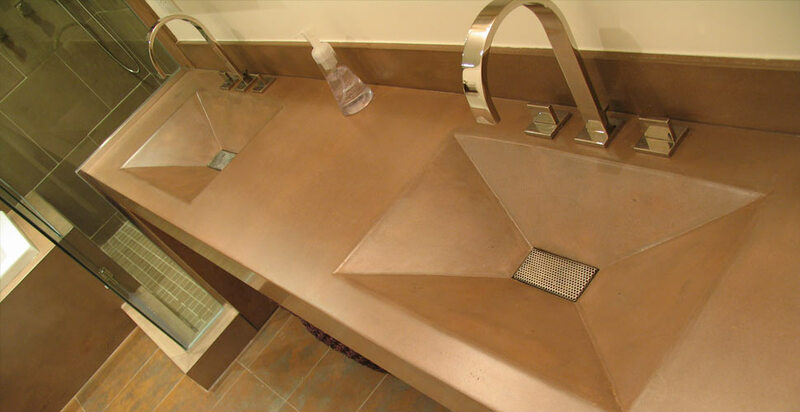 Whether it’s furniture, countertops or other surfaces, each project receives the personal and professional touch of the firm’s vast knowledge and experience in concrete and other fabrication materials.